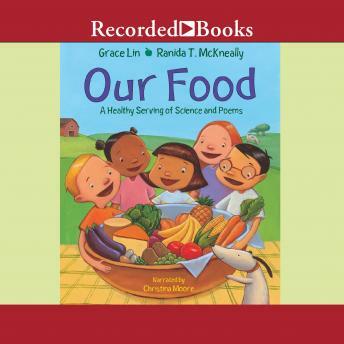 Award-winning author Grace Lin joins science writer Ranida T. McKneally to get kids talking about the science of food, the five food groups, and what a healthy meal looks like. Answering questions like "why are so many vegetables green? ", "What's the difference between brown bread and white bread? ", and "Why do beans make you gassy? ", cheerful haiku poems and a simple Q&A format make this book a nutritious treat. The information in this book aligns with both the USDA's MyPlate guidelines and the Harvard School of Public Health's Healthy Eating Plate guidelines.